A statement of work, sometimes called a scope of work or SOW, can make a great construction contract even better. 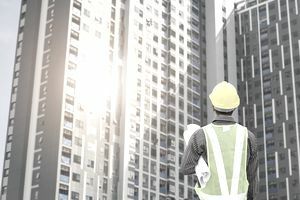 A well-written statement of work is clear, complete, logical, and concise so it can be understood by both the contractor and the construction manager responsible for the administrative portion of the contract. The SOW describes in detail what is expected from the contractor and is used as a measuring tool for the construction manager to ensure the project deliverables are met. A statement of work must be clear enough to allow for only one interpretation. Clear wording is key to minimizing the risk of claims, litigation, and other related problems. A SOW should avoid ambiguous phrasing and must identify the project deliverables and its objectives. If an action is mandatory, the statement of work should use the words shall or must. In most cases, a SOW does not include the cost of products or services that a contractor is contracted to provide. A statement of work also can include drawings, photographs, and other visual elements to provide clarity and prevent confusion. Visuals are highly recommended if any of the wording in a SOW may be open to more than one interpretation or possible misunderstanding. Project management: Describes the primary functions of the project administration, including how payments will be issued, processes for changes and change control, specific contract terms and legal requirements, phasing or stages of the project, project limitations, time management, and general contract administration. Does Every General Contractor Need a Performance Bond?